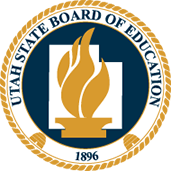 Utah Compose is a web-based writing program designed to help students in grades 3-12 develop effective writing skills and maximize teacher instruction. This online writing tool gives educators and students unlimited access to custom writing prompts, electronic graphic organizers, automated scoring, instant feedback, portfolios, and interactive student tutorials. Utah Compose is powered by Project Essay Grade, or PEG, an automated scoring technology originally developed by Dr. Ellis Batten Page and purchased by Measurement Incorporated in 2002. PEG is the industry's most researched AI system and has been used by MI to provide more than two million scores to students over the past five years. PEG is currently being used by one state as the sole scoring method on the state summative writing assessment, and we have conducted pilot studies with three other states. In addition, PEG is currently being used in 1,000 schools and 3,000 public libraries as a formative assessment tool. Using advanced, proven statistical techniques, PEG analyzes written prose, calculates more than 300 measures that reflect the intrinsic characteristics of writing (fluency, diction, grammar, construction, etc. ), and achieves results that are comparable to those of human scorers in terms of reliability and validity. PEG, the PEG logo, Project Essay Grade, and the Powered by PEG logo, referenced in this Web site are registered trademarks or other trademarks, service marks or trade names of Measurement Incorporated. No license to use any of these trademarks is given or implied. MI's trademarks may be used only with permission from Measurement Incorporated.